Protect your prints from moisture, fingerprints, scratches, dirt, and airborne pollutants with digital print sleeves from Lineco. These ultra-clear, acid-free, PVC-free sleeves allow easy viewing and help avoid costly reprints due to damage or fading. 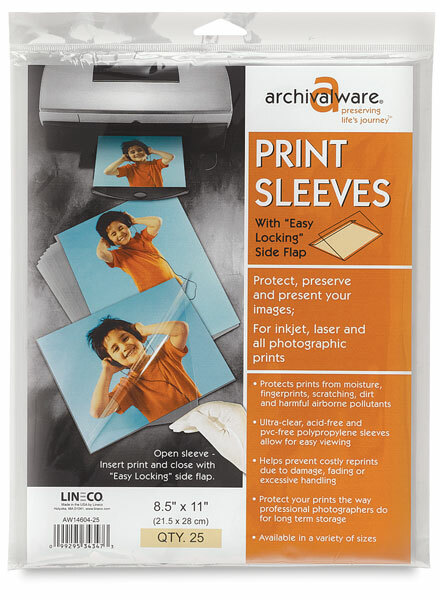 They're compatible with inkjet prints, laser prints, and all photographic prints. Each package contains 25 sleeves.